1. Pawanputra Hanuman was an incarnation of Lord Shiva and is considered to be an exemplification of strength, devotion, and perseverance. Anjana, a beautiful Apsara in celestial palace court of Lord Brahma was cursed by a sage that, the moment she fell in love her face would transform to that of a monkey. Lord Brahma thought of helping her and she took birth on Earth. Later, Anjana fell in love with Kesari, the monkey king and they both married each other. Being an ardent devotee of Lord Shiva, she continued with her tapasya to please the God. Lord Shiva was impressed and she wished him to be her son so that she would be freed from the curse of the sage. Few days later, King Dasrath was performing a yagna after which the sage gave him kheer to feed all his wives. A portion of Kaushlya, his eldest wife, was snatched by a kite who flew all the way where Anjana was meditating. Lord Vayu (aka Pawan – Wind) on the signal of Lord Shiva kept the khee r in Anjana’s hand. Thinking it as Lord Shiva’s prasad Anjana ate it and thus gave birth to his incarnation – Pawan Putra Hanuman , the son of the Lord of the Winds. 2. The deity once applied sindoor all over his body for Lord Rama’s long life. 3. The name, 'Hanuman' actually means 'disfigured jaw' in Sanskrit. In Sanskrit, 'Hanu' means 'Jaw' and 'Man' means 'Disfigured'. No wonder, Hanuman’s jaw as a kid was disfigured by none other than Lord Indra who had used his vajra (thunderbolt) against Anjaneya, who took sun as a ripened mango and even went to trace it up in the sky. It was there in the sky that Lord Indra had used his vajra which threw Hanuman straight on the Earth, damaging his jaw forever. 4. Although he was a brahmchari , Lord Hanuman had a son - Makardhwaja. Hanuman’s Son Makard hwaja was born to a mighty fish of the same name when Hanuman after burning the entire Lanka with his tail had dipped in the sea to cool off his body. It is said that his sweat was swallowed by the fish and thus Makardhwaja was conceived. 5. Once, Lord Ram issued a death sentence to Lord Hanuman! After Lord Ram became the King, once, when the court was adjourned, Narada – known for creating disharmony between Ram and Hanuman – asked Hanuman to greet all the sages except Vishwamitra, since he was a King once. Hanuman did so, but it did not affect Vishwamitra. Narada went on and instigated Vishwamitra, which angered him so much that he went to Ram and asked him to punish Hanuman to death. Vishmamitra being his guru, Ram could not ignore his command and punished Hanuman to death by arrows. Next day in the field, the statement was to be executed, but all arrows failed to do any harm to Hanuman as he kept chanting Ram! 6. Hanuman also created his version of Ramayan – which was supposedly a superior version compared to that of Valmiki’s. After the war at Lanka, Hanuman went to Himalaya for continuing his reverence of Lord Ram, Hanuman etched his version of Ram’s tale on the walls of the Himalayas with his nails. When Maharshi Valmiki visited Hanuman to show his version of Ramayana, he saw the walls and felt sad as Valmiki believed that Hanuman’s Ramayana was superior and that his arduously created version of the Ramayana would remain unnoticed. Realising this, Hanuman discarded his version. Taken aback, Valmiki said he would love to be reborn to sing the glory of Hanuman! 7. Lord Hanuman and Lord Bhima were both brothers. Bhima was also the son of Vayu (the Lord of the Winds). One day, when Bhima was searching for a flower his wife wanted, he saw a monkey sleeping with his tail crossing the path. He asked him to move his tail. But the monkey didn’t do it and asked Bhima to move it. Bhima was very arrogant with his strength. Nevertheless, he couldn’t move or lift the tail. Therefore, he realized that this was not a mere ordinary monkey. It was none other than Hanuman. He lied there just to reduce the arrogance of Bhima. 8. When Lord Rama’s time of death was at hand, Lord Hanuman barred Yama from claiming him. When Lord Rama decided to leave his earthly existence for his journey to Vaikuntha (heavenly abode of Lord Vishnu), he knew that Hanuman would not let him do so as he was a great devotee. So he instructed Hanuman to find his ring which had fallen on the ground and then disappeared in the Patal Loka. went on the task of finding the ring and was met by the King of Spirits. He told him that the falling of the ring signified that the time for the end of Lord Ram's avatar had come. 9. Lord Hanuman Once Rejected Goddess Sita's Gift. When Sita gave Hanuman a beautiful pearl necklace as a gift he politely declined it saying he doesn’t accept anything that is devoid of Ram’s name. To prove his point, the ardent devotee then ripped off his chest to reveal an image of both of them. 10. 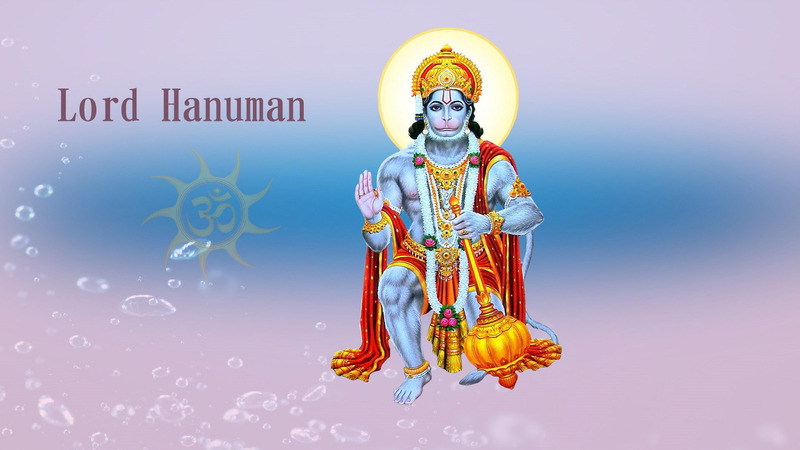 There are 108 names for Lord Hanuman in the Sanskrit Language! There are many things we really don’t know about Lord Hanuman. Especially the fact that unknowingly through his life, the deity himself has taught us numerous life lessons.